Canadian Paediatric Society and the College of Family Physicians of Canada have issued a joint statement and Guidelines for vitamin K prophylaxis in newborn. This statement was reviewed by the Community Paediatrics and Drug Therapy and Hazardous Substances Committees of the Canadian Paediatric Society. It is an established fact that Vitamin K is a vital nutrient that our body needs for blood to clot and stop bleeding. Newborns need a vitamin K shot because Vitamin K from the mother is not easily shared with the developing baby during the pregnancy. 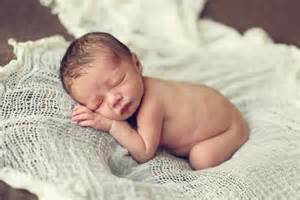 In addition to this the intestine of the newborn baby has very little bacteria so they do not make enough vitamin K on their own. They are at risk of Vit deficiency bleeding (VKDB) caused by inadequate prenatal storage and deficiency of vitamin K in breast milk. Vitamin K deficiency leads to Hemorrhagic disease of the newborn (HDNB) which presents as unexpected bleeding, often with gastrointestinal haemorrhage, ecchymosis and, and sometimes as intracranial haemorrhage also. American Academy of Pediatrics (AAP) has been recommending that a single 0.5 mg to 1.0 mg dose of vitamin K be administered intramuscularly (IM) to all newborns shortly after birth to prevent VKDB since 1961. The Canadian Paediatric Society and the College of Family Physicians of Canada recommend routine IM administration of a single dose of vitamin K at 0.5 mg to 1.0 mg to all newborns. Administering PO vitamin K (2.0 mg at birth, repeated at 2 to 4 and 6 to 8 weeks of age) should be confined to newborns whose parents decline IM vitamin K.
The Canadian Paediatric Society continues to recommend the routine administration of vitamin K to newborns, preferably by IM injection, to prevent vitamin K deficiency bleeding (VKDB). Administering one intramuscular (IM) dose of vitamin K (0.5 mg for infants weighing ≤ 1500 g or 1.0 mg for infants weighing > 1500 g) routinely to all newborns within the first 6 hours post-birth and following initial stabilization and appropriate maternal/newborn interaction, is now the recommended best practice. Implementing strategies that minimize the procedural pain associated with IM injections for all newborns is also recommended. For parents who decline injection, counselling on the serious health risks of VKDB is advised. If they still decline, health care providers should recommend an oral (PO) dose of 2.0 mg vitamin K at the time of the first feeding, to be repeated at 2 to 4 and 6 to 8 weeks of age. They should make sure their infant receives all follow-up doses is important. They should advise parents that their infant remains at risk for developing late VKDB (potentially with intracranial haemorrhage) despite the use of the parenteral form of vitamin K for PO administration, which is the only alternate formulation available at this time. For preterm infants undergoing intensive care, limited data suggest that a single IV dose of 0.2 mg at birth may not be as protective against late VKDB as a 0.2 mg or 0.5 mg dose of vitamin K delivered IM. Therefore, current evidence is insufficient to recommend the routine use of IV vitamin K in this population.